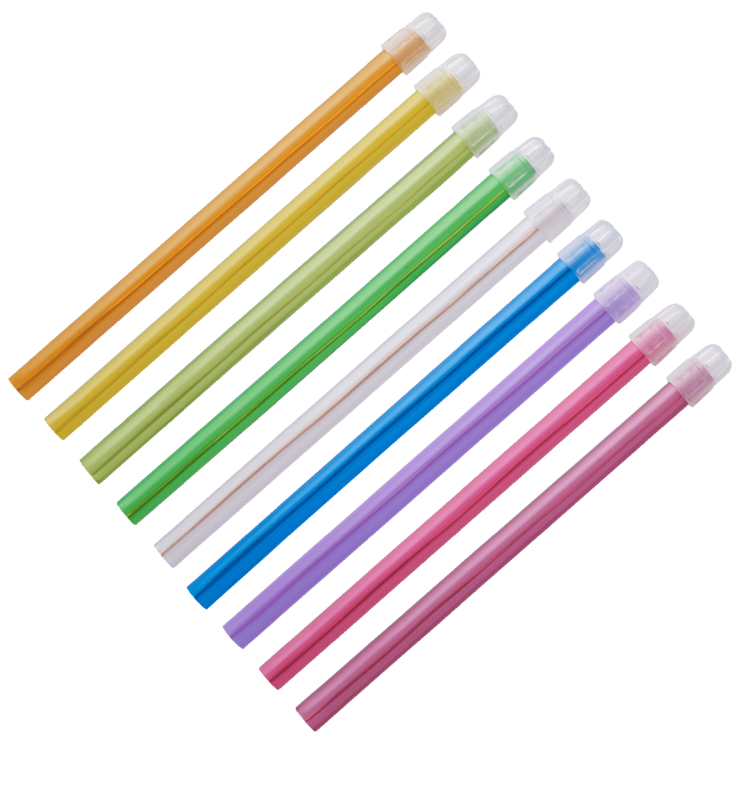 Monoart® disposable saliva ejectors undergo numerous tests to minimize the percentage of faults and enhance the quality of the products. 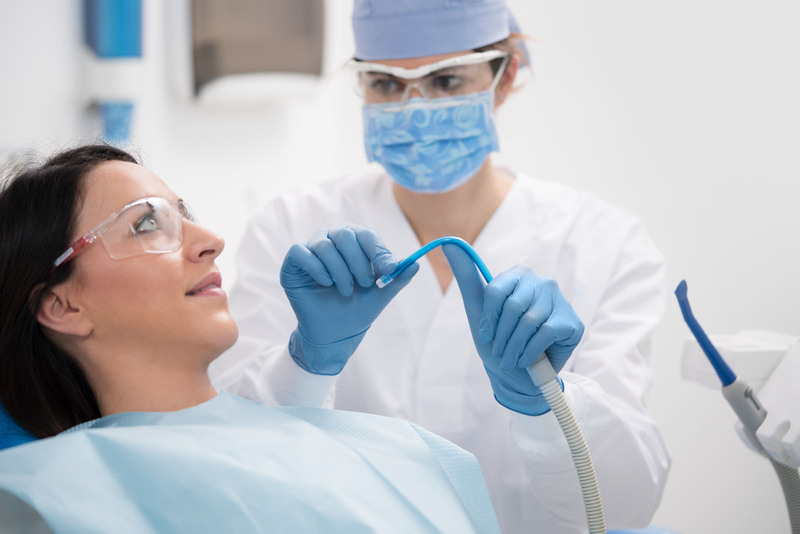 As with all of its other disposable dental products, safety and quality are Euronda’s top priorities during the production of saliva ejectors. 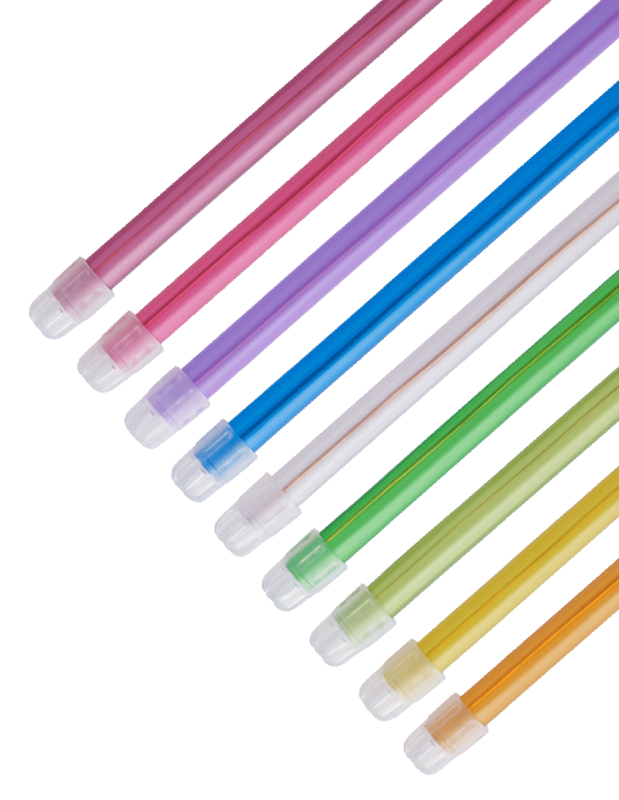 Safety is guaranteed by the use of non-toxic, DEHP and phthalate-free PVC. Furthermore, packaged samples are regularly selected for bacteriological (bioburden) testing in an external laboratory. High quality standards are maintained thanks to the cutting-edge production line and the meticulous care taken over the entire production process. In keeping with this approach, automatic controls are used to minimize the need for product handling. The copper-clad wire is integrated in the tube to keep it at the set angle and ensure it won’t protrude when bent.  Made of non-toxic PVC without DOP and phthalates, Class IIa Medical Devices with no expiry date. With rounded fixed or removable tips that won’t irritate mucous membranes. Give a new look to your dental practice with Monoart® colours. Safe, practical and autoclavable adapter for saliva ejector. Five disposable products in your chosen colour to cater to all of your needs. Want more about Saliva Ejectors EM15?